The 2018 Christmas Coding Challenge is off to a brilliant start and we’re thrilled to see the excitement and enthusiasm from students as they get started on their projects. 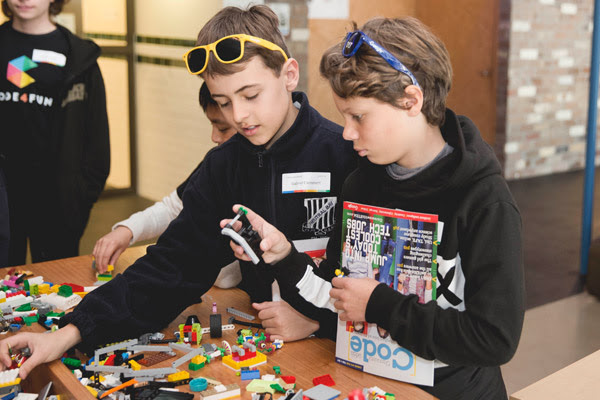 We hope that your child will be participating in the challenge to reinforce the skills and concepts they’ve learnt in class, win awesome prizes and get the chance to visit a leading tech company! 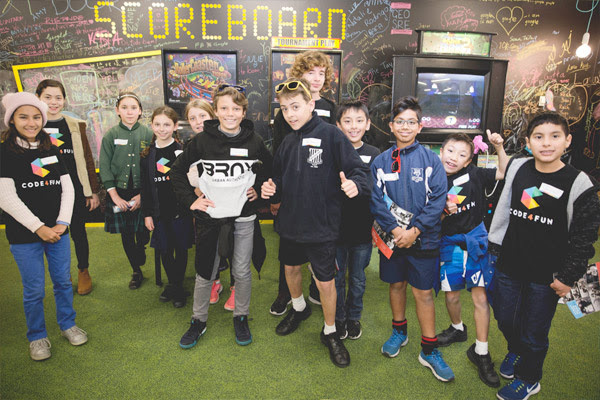 A big thanks to Officeworks and ASUS who are the proud supporters of this challenge. Below are all the details you will need to support your child through the challenge. Develop an Interactive Resume with WOW factor! Students must define the objective of their resume and how they plan to use it in the real-world to achieve their goals. For younger students, they may like to create an interactive story about themselves including their family, friends, pets, hobbies etc. There will be several lessons in Term 3 and Term 4 dedicated to the challenge to help students get started however children will be required to spend time on their projects at home. Projects are to be created in Scratch, Processing or Unity (student’s choice) and students will need to present their projects in class. Click here to access the Scratch Challenge studio. Help your child brainstorm ideas, be their app tester and early adopter. Every coder needs constructive feedback to help them improve and deliver a fantastic app. Thanks to Officeworks and ASUS, every participant will receive a prize and certificate in recognition of their hard work. Prizes include Laptops, Tablets, Virtual Reality Headsets and other cool gadgets. The Top 3 Winners will win an incredible ASUS ROG Strix GL502 laptop valued at $2,699! The Top 40 students will also receive an exclusive invitation to visit a leading teach company. Previous companies visited include Google (July 2018) and Atlassian (December 2017). Once the details are confirmed we will announce which company our Top 40 students will be visiting. 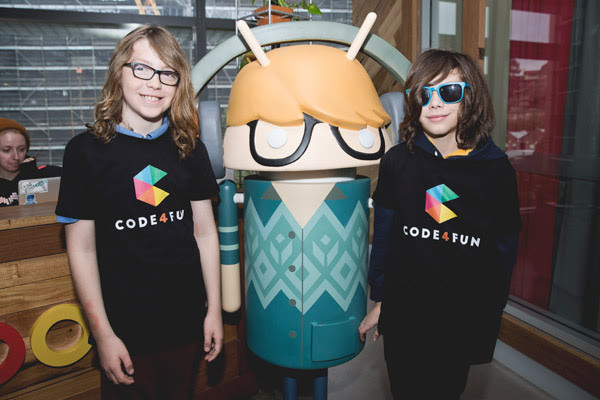 Click here to read about the recent CODE4FUN visit to Google Australia HQ. Students must add their first name, class and their teacher’s name to their projects before being submitted. Projects that do not include these details are at risk of not receiving a prize if we cannot determine the creator of the project (especially if students use their own accounts, such as BESTCODER123J). All projects should also be given a project name and include clear instructions for how to navigate through the resume. Thanks for supporting this challenge and furthering your child’s exciting coding journey. games, time management apps and even a digital wallet to manage cryptocurrency. an exclusive tour of Australia’s Google Headquarters. successful in their future careers. 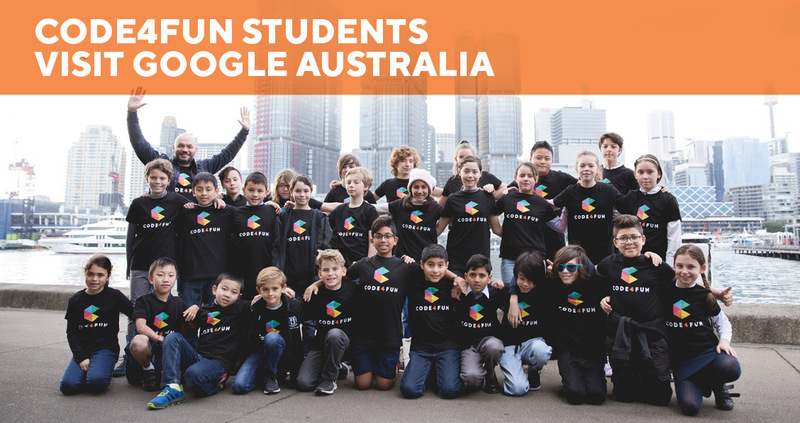 CODE4FUN offers coding courses in over 28 locations across Sydney. 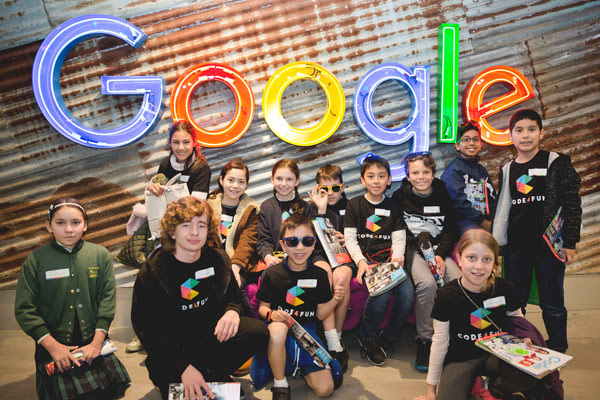 Last Thursday the top 30 students of the CODE4FUN Winter Coding Challenge went on an exclusive tour of one of the world’s most innovative companies – Google. Google was founded in 1998 and from the beginning, their goal has been to develop services that significantly improve the lives of as many people as possible. Not just some. For everyone. Google’s Mission Statement: Organise the world’s information and make it universally accessible and useful. With their Australian headquarters located in Pyrmont, we started the day with a fun group photo and were then taken inside their office for an engaging Q&A session with some Google employees (known as “Googlers”). 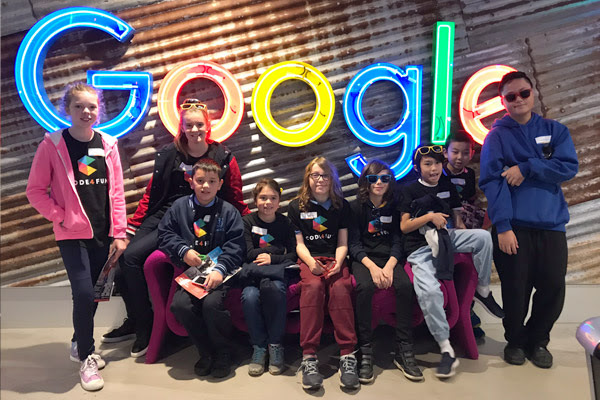 Students were given the opportunity to ask lots of questions to the Googlers who shared their passion and excitement for tackling the hard problems in technology. 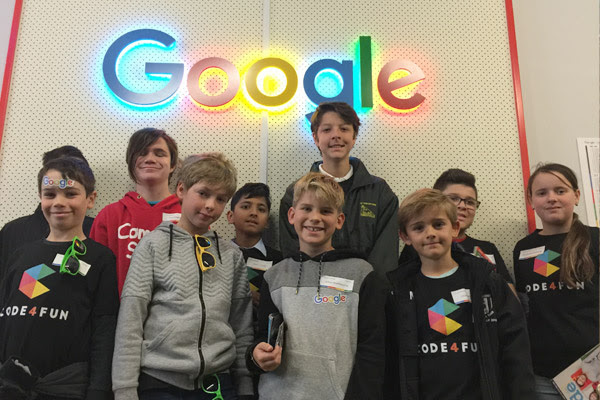 The students were then taken on a guided tour across three incredible levels of Google HQ. 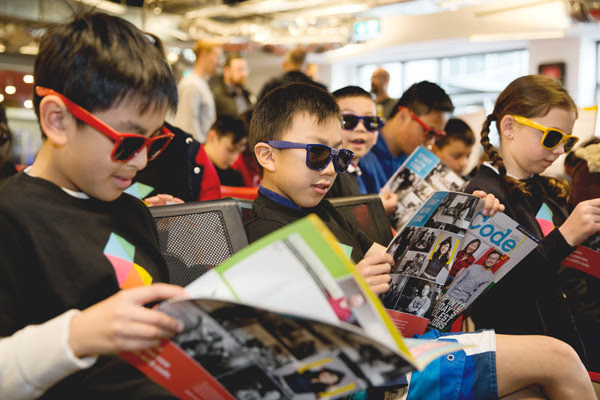 The space is edgy, fun and colourful, and designed to foster a culture of creativity and collaboration. 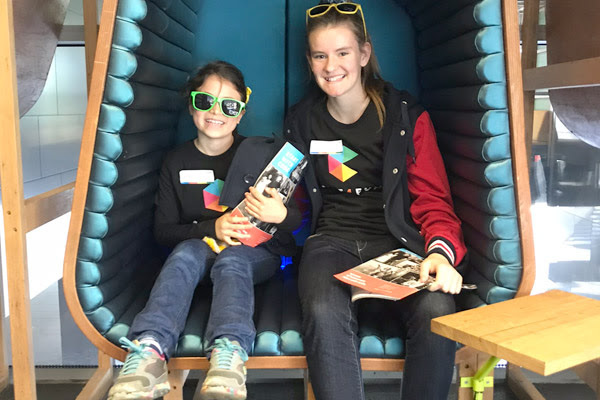 We took an eye-opening look inside the Google Makers Space where Googlers can experiment with gadgets and tools and possibly invent the next Google product used by millions of people around the world! With cafes, free food, chill-out zones, gaming rooms, a Lego play area and even a rock-climbing wall, it’s easy to see why Google is regarded as one of the best places to work in the world. Congratulations once again to the top 30 students. 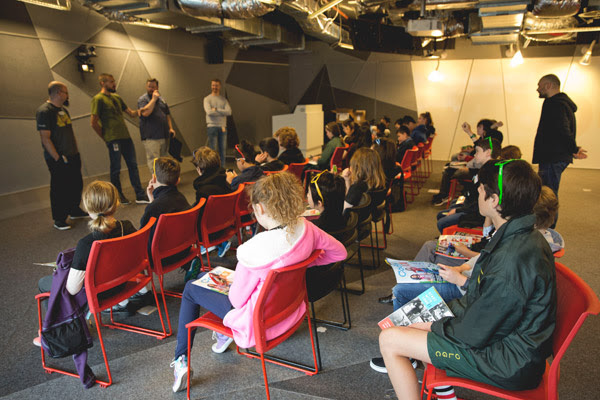 We hope you enjoyed the visit and were inspired to continue exploring the wonderful world of coding and technology. We will be announcing the details of the Christmas Coding Challenge in early September. We invite all our students to participate in the next challenge for their chance to win fantastic prizes, visit a leading technology company and of course, learn and have lots of fun along the way!